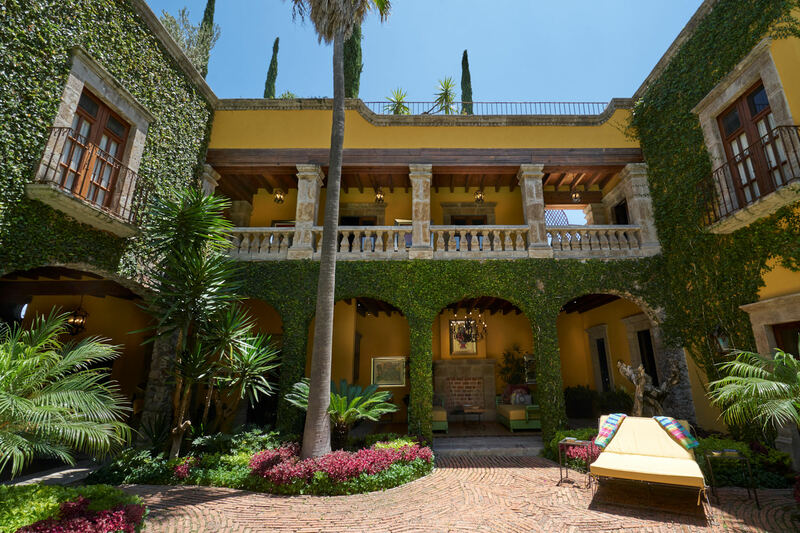 Casa de Piedra (House of Stone) is a beautiful mix of old world Spanish architecture meets modern amenities. 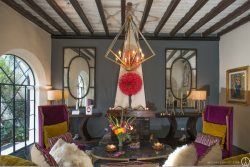 Casa de Piedra was built by local architect Alan Wilkerson, who is known for making new houses look that they have been around for centuries by encouraging and working with local talent, who are masters of stonemasonry and carpentry. It all comes together in a beautiful collaboration of old meets new from arcade archway, wood beams on the ceilings to the modern kitchen with beautiful wood carved cabinets - a masterpiece! This 4 bedrooms 5 bathroom house is on two levels with a view on the rooftop of the Parroquia. The first floor consists of formal dining room, living room with bay window that looks to the pool, outdoor dining table, kitchen, full bathroom, covered outdoor sitting area, bar, pool, and a master suite. Master suite on the first floor has a King bed, full bathroom with bathtub and separate shower, large walk-in closet, TV, gas fireplace, and a mini-split with Airconditioning and heating capabilities. #2 Master suite - with King bed Master suite on the first floor has a King bed, full bathroom with bathtub and separate shower, large walk-in closet, TV, gas fireplace, and mini-split with Airconditioning and heating capabilities. # 3 Junior suite with 2 Queen beds, ensuite bathroom, walk-in closet, TV, gas fireplace, and mini-split with Airconditioning and heating capabilities. # 4 Junior suite with 2 Queen beds, ensuite bathroom a walk-in closet, TV, gas fireplace, and mini-split with Airconditioning and heating capabilities. The 3rd floor is a rooftop terrace with sun loungers, outdoor dining and seating area, gas grill, and views of the Parroquia - great to have a sunset cocktail and enjoy the ambiance of Casa de Piedra. The house includes the services of a cook and a maid Monday - Friday 9-3 and Saturday 9-12. The cook can prepare 1 meal a day either breakfast or lunch if you want to have dinner, then the client pays the overtime. Food and gas to heat the pool are not included in the rental rate.